In our warm, tropical climate, it’s a perfect place for plenty of tropical fruits and tasty vegetables to thrive. Just snacking on the tasty products of the ‘aina (Hawaiian for “land”) would be enough for most people to get their fill of island flavor, but you can certainly branch out and try the other delicious goodies that Maui is famous for. 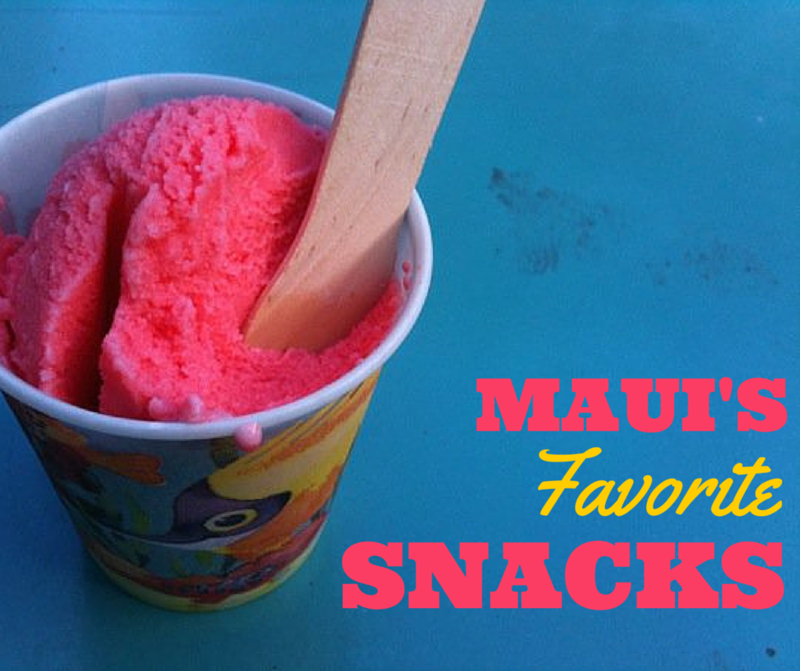 Here are my top five favorite Maui snacks! Believe it or not, buying banana bread from a road-side fruit stand on the Road to Hana is a must-do while on Maui. You’ve had banana bread your whole life, I’m sure. Your mom or aunt probably has a famous recipe, and you’re positive nothing will ever top that. Maybe you’re right, but just in case, pick up a loaf or two while you’re here. The best place? 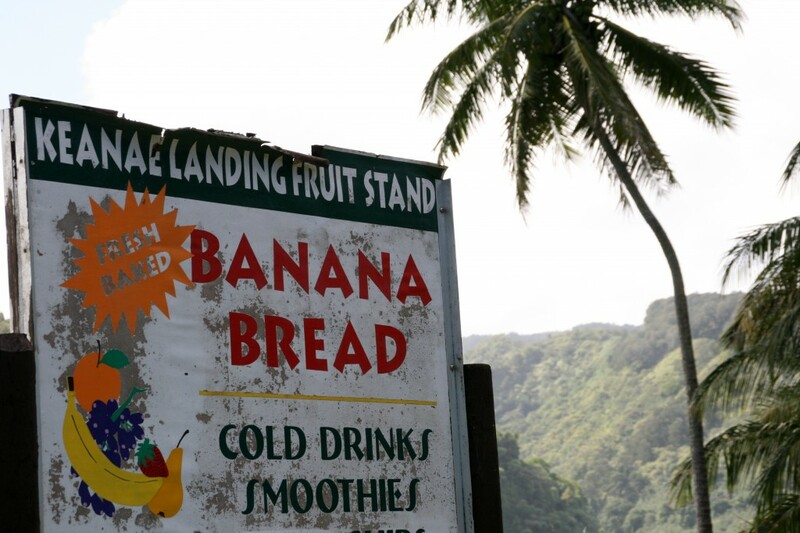 Well, the specifics are debated, but in general, everyone agrees that the best banana bread can be found somewhere along the Road to Hana. Tightly wrapped in saran wrap, you’ll find miniature loaves in little stands and shops along the famous Hana Highway. Most of the time, they’re made with local bananas, fresh that morning. Personally, I’ve never had banana bread as dense, moist, and flavorful as some that I’ve gotten in Hana. Be on the lookout for different varieties, too– you’ll find it with chocolate chips, coconut, mango, and more mixed in. Thankfully the loaves tend to be small, so you can sample them all along the drive! Just this picture is enough to make most Maui residents’ mouths water. Try it! Originally, I had shave ice in this spot, but decided against it. I don’t have to tell you to get shave ice; you’re going to get shave ice anyway. Fair enough. I can strongly advise you, though, to make your way to Maui Mall in Kahului, find a little pink storefront next to the pet shop, and get some guri-guri. Which is what, exactly? It’s not quite ice cream, and not quite sherbet, but it falls somewhere in that spectrum. It comes in two flavors: strawberry and pineapple. Make sure you have cash (this little shop doesn’t take a card), and know what you want. It comes in golf ball-sized scoops, in sizes from a single scoop to a five-scoop jumbo size. You can get all of one flavor, or a mixture of the two. The flavors are subtle, and go extremely well together, so I definitely recommend the combo option. 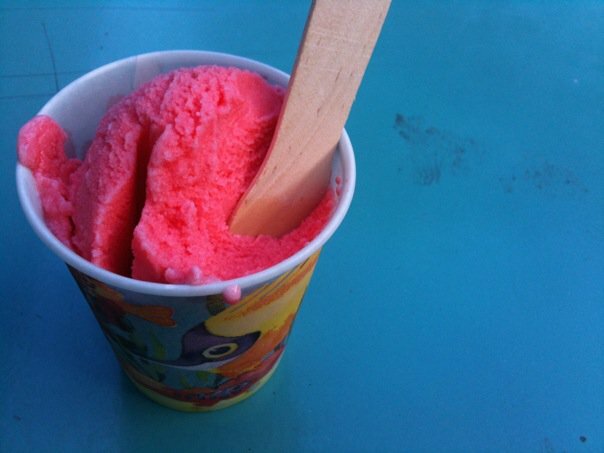 For a sweet treat on a Kahului day, nothing beats a Dixie cup of sweet guri-guri, eaten with their signature flat wooden spoon. 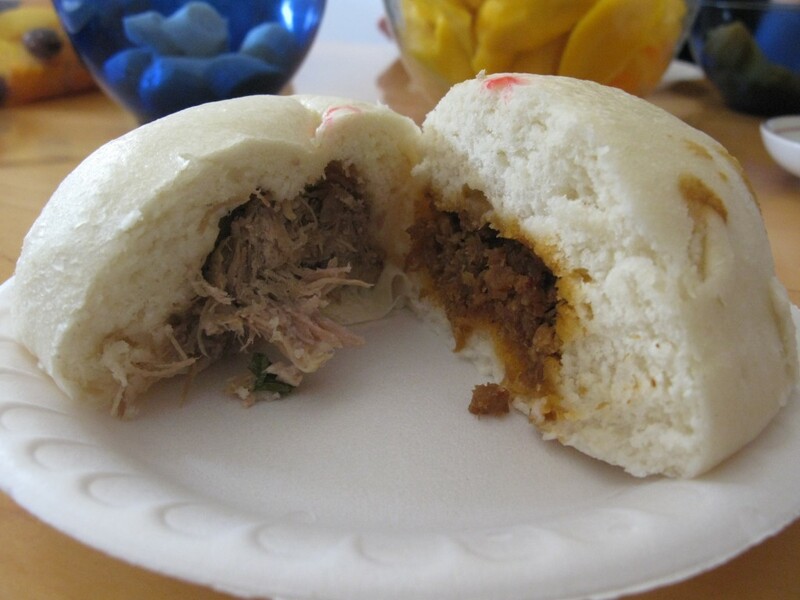 Nothing compares to biting into a warm, soft, pillowy steamed manapua. This staple of the islands is based on Chinese dim sum, but it’s taken on a life of its own in Hawaii. Steamed or baked, and filled with everything from traditional char siu (Chinese-style barbecued pork) to Indian-style beef curry, I guarantee you’ll find one of these hand-held buns to satisfy just about any taste. Before recently, these delicacies were kind of difficult to track down on Maui (especially fresh ones), but with the opening of two brand-new shops, the manapua business is in full swing in Central Maui. Try Maui Manapua Bakery on Lower Main Street in Wailuku, and head down early– they sell like hotcakes! Or, should I say, hot buns! 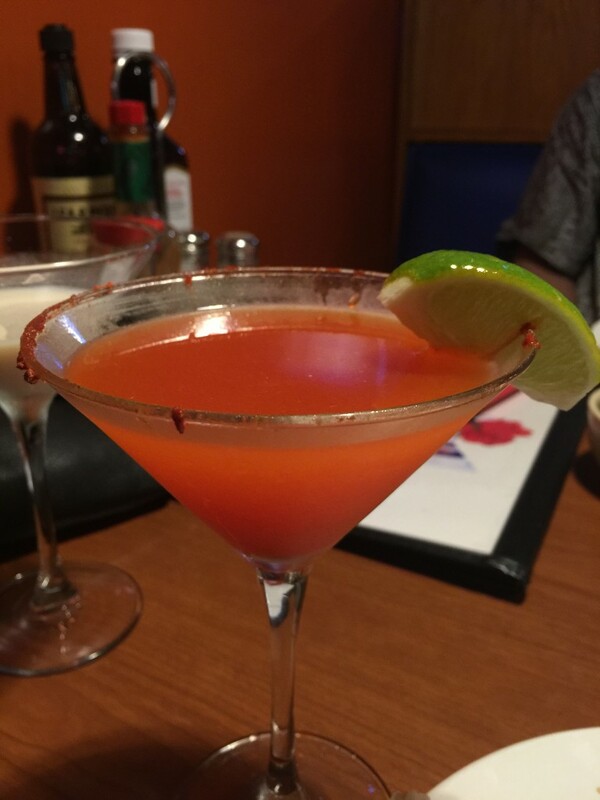 If you can find one, try a uniquely-flavored li hing mui cocktail, with a signature li-hing powdered rim. Yum! You might have seen this on some bags of snacks in just about any grocery store on Maui, but its contents were possibly less than identifiable. I know that this can be off-putting, but please, try this sweet-sour-salty flavor on SOMETHING before you leave! The classic is the dried plum, coated in the ubiquitous red powder, and it’s a favorite all over Maui. I remember sharing bags of li hing mui with classmates in middle school, our fingers sticky and red by the end of lunch. If you’re wary about the dried fruit, you can also get gummy candies with a sprinkling of li hing powder, which make for a tasty snack. Or, my favorite, just grab a bag of the powder by itself, and sprinkle it on apple slices, pineapple rings, or chunks of watermelon. Be on the lookout at happy hour too– many local bars have started concocting drinks using this distinct flavor, and they’re not to be missed! Cone sushi is one of the quintessential Maui snacks. Maui is home to a lot of sushi, in settings from fine-dining to ultra-casual. Hawaiian-style cone sushi definitely falls on the ultra-casual side of things, but don’t let that deter you from giving it a try. You may have had its traditional Japanese counterpart, inarizushi, before, but it’s a little different here in the islands. 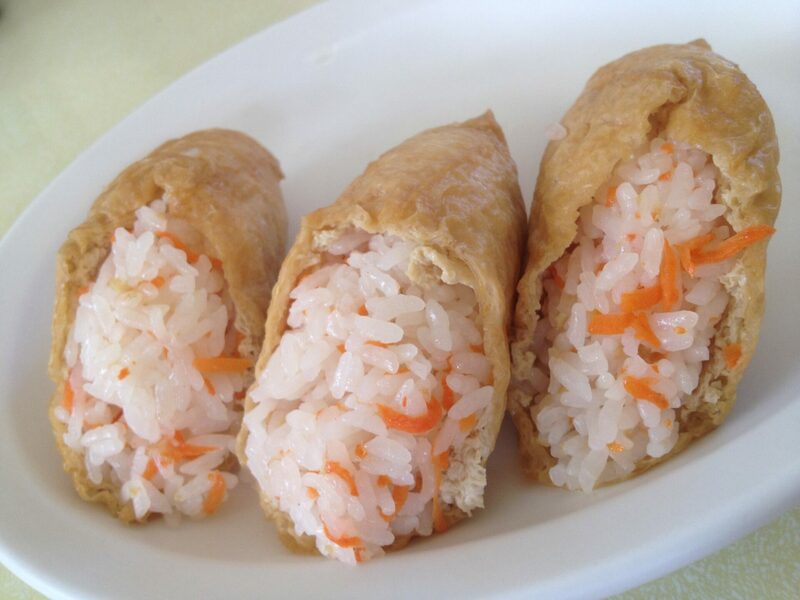 Sweet and vinegary sushi rice is mixed with a small amount of shredded carrots, and is then wrapped in a triangular fried tofu pouch. This is just another one of those things that you’ll just have to try to appreciate, and I’m sure you won’t be sorry you did. Find them everywhere, from delis to gas stations. They’re commonly sold as side-items for other deli or okazuya meals, but they’re perfect as a snack to take to the beach, hiking, or whatever your Maui day has in store for you. There’s a lot that makes Hawaii unique. We have incredible beaches, a rich, fascinating culture, and wonderful people who truly embody the spirit of Aloha. One of my favorite aspects of my home state, though, is the fruit! Really. I am not sure what I would do if I couldn’t pop down to the farmer’s market, or even just my own back yard, and have such a huge variety of delicious tropical fruits. Not all are indigenous, or even native, to Maui, but they have certainly found a way to flourish in our tropical weather. Here are my top five favorite fruits grown on Maui! 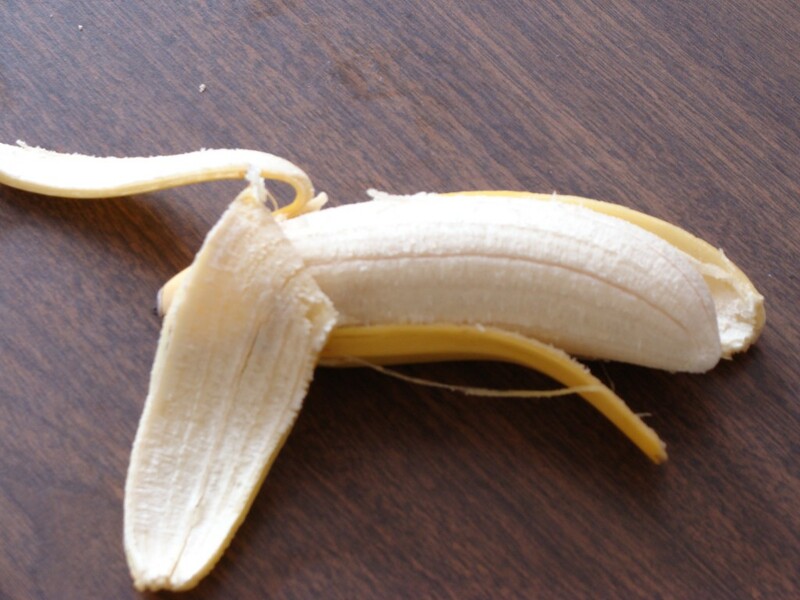 Think all bananas are created equal? Think again! If you’ve been to the grocery store on Maui, you might’ve scratched your head a little in the produce section. You saw the normal bananas, but then, maybe right next to them, were smaller, fatter, spottier ones. When you have a chance– get those! The small, usually organic “apple bananas” as we call them are native to Southeast Asia, but are grown both commercially and at people’s homes in Hawaii. They have a smooth, creamy texture, and a flavor that will totally ruin you for other bananas– tangy, sweet, and extremely tasty. Their skin tends to show those brown spots easier than conventional bananas, but even if they look over-ripe, they’re probably just right. Give them a try! These unique fruits are a must-try while visiting Maui. I just love how these little fruits look. 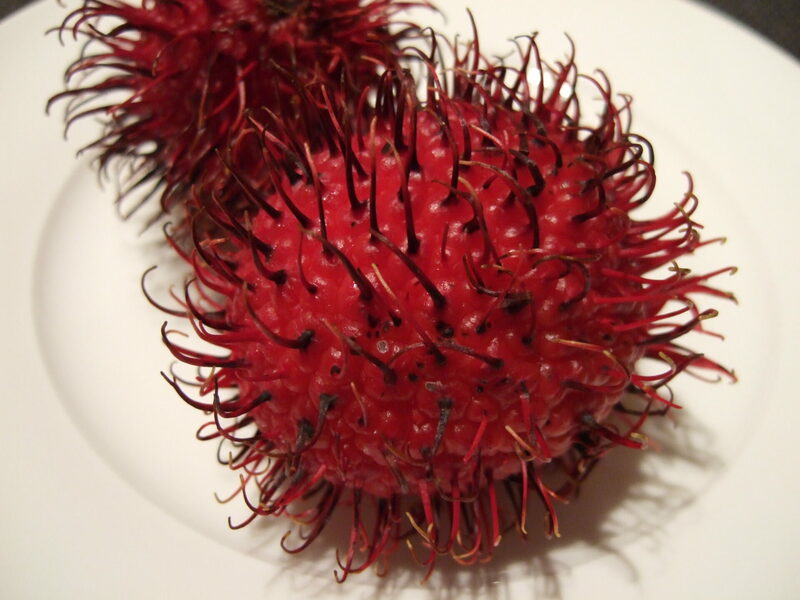 Deep-red and distinctively “hairy,” I can understand why you might be wary of them, but you’ll definitely want to give them a try if you see them at a fruit stand or farmer’s market. Beneath the spiny exterior is a white, juicy fruit, sort of like an oversized grape. They have a sweet and sour flavor that is highly addictive. I put them in the fridge for a cool, refreshing treat on a warm afternoon. One of the tastiest indulgences to be found on the Valley Isle. Sure, you probably have mango in the grocery store at home sometimes, but if you have a chance, get some locally-grown mango while you’re here, and taste the difference. 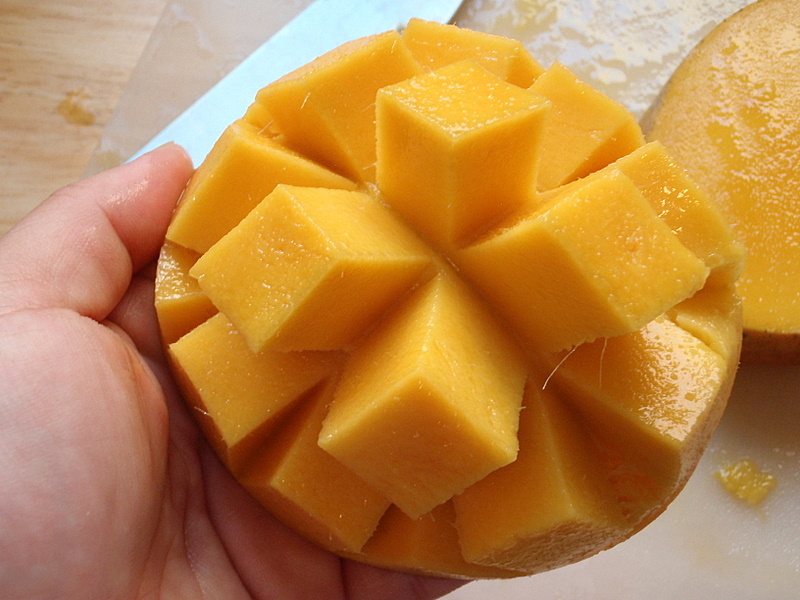 Insanely juicy, soft, and beautifully fragrant, Maui’s mangos are simply divine. You may see some commercially-grown, imported varieties in the grocery store, so my suggestion for a good local one? A fruit stand on the Road to Hana. You’ll see plenty of them; some are bigger operations, with friendly people selling local items in addition to fresh fruit, but you’ll see many more of the smaller, family-run stands. They work on the honor system, so be sure to bring some cash on the way to drop a few bucks in the box in exchange for fresh fruit and flowers; prices are posted, and are generally very reasonable. Just another thing that makes Maui so special! Liliko’i are on the tricky side to cut open, but once you do, you’ll be well rewarded. 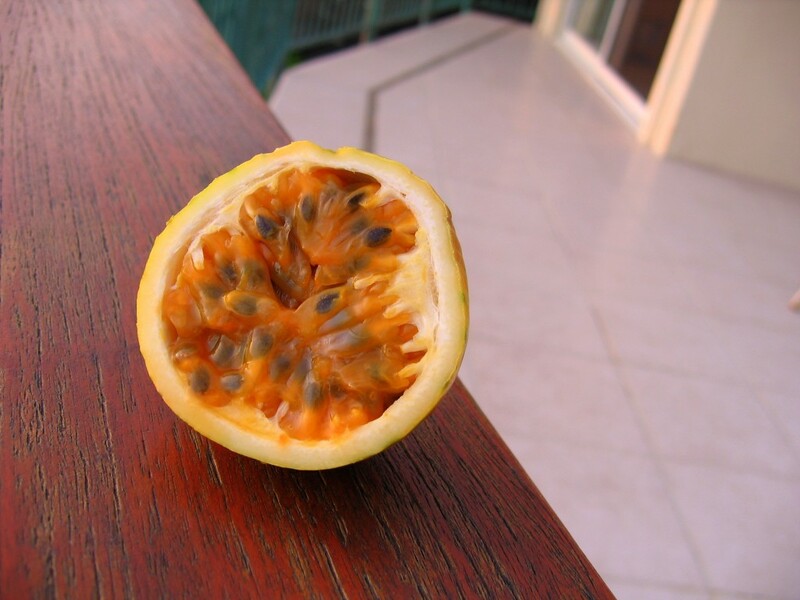 You might know them as passion fruit, but in Hawaii, these little gems are known as liliko’i. You’ll see a few of the more-familiar purple ones here and there, but most of them are a pale, butter yellow. Once they’re split open, bright orange pulp with dark brown seeds can easily be scooped out with a spoon. Feel free to eat it as is, but if you find it too tart, there’s a ton of great uses for liliko’i. The brown seeds are edible, so scoop it right into a cocktail shaker for the start of a great tropical drink. You can also mix it with yogurt, or top vanilla ice cream with it. They grow right outside my front door, and I love straining the juice and adding it to homemade lemonade for a refreshing, island-style treat. 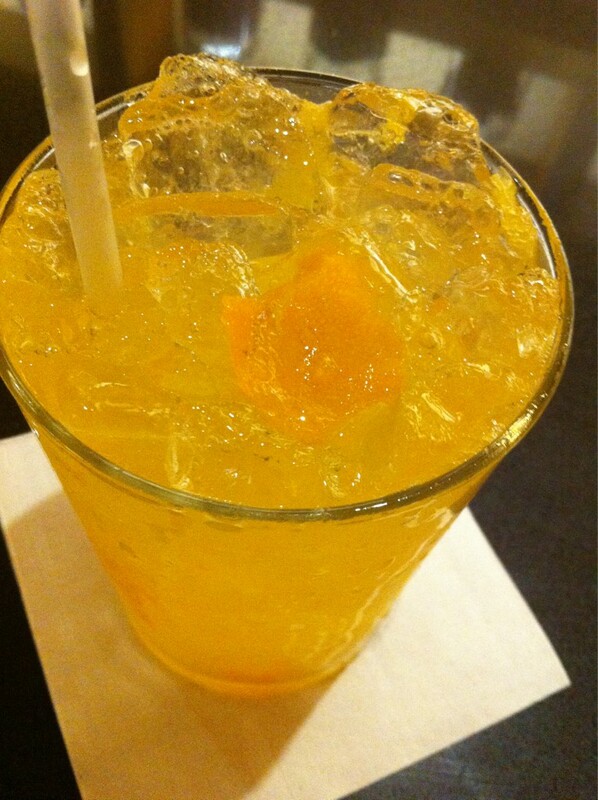 Calamansi cocktails are growing in popularity on Maui– try one soon! If you’re at a farmer’s market or swap meet on Maui, and you see these tiny lime-esque fruits, you should buy a bag. Also known as the Philippine Lime, these little citrus fruits are one thing I almost never pass up. Green on the outside, orange in the middle, they’re not (as some people think) the same as key limes. Cut one open, and you’ll get a get a wonderful whiff of a tangerine scent. They’re best sweetened and made into a sort of limeade (a labor-intensive process, but worth it! ), and are slowly finding their way into Maui’s culinary landscape. Find them served in place of limes in seafood dishes, or even muddled into creative cocktails. Pick some up, and squeeze them in tea, water, or your own mixed drinks for a little tropical flair. Of course, there are so many amazing fruits I didn’t mention here, so please, stop by a farmer’s market or fruit stand at least once while you’re here. Pick up something you’ve never seen before, and try some of the delicious, healthy fruits (and vegetables!) we enjoy every day on Maui. When I moved back home to Maui after going to college on Oahu, I’ll be honest—I felt like I was leaving a shopper’s paradise. No Ala Moana Center, no Nordstrom, nobody asking me “Ooh, where did you get that?”—because there are only so many places to go on Maui, right? As the months back on Maui went on, though, I slowly realized how wrong I was. Maui really is a shopper’s paradise, but it’s an elevated one, one that takes a little more time and forethought, and it’s a challenge that I love. One place on Maui to truly hone your “art of shopping” skills is in the quaint cowboy town of Makawao. Instead of rifling through rack after rack, or long, foot-torturing walks through huge malls, a shopping experience in Makawao is a relaxing, laid-back affair, and one that I try and treat myself to at least once a year. If you’re shopping for gifts, souvenirs, or even to just update your wardrobe, make your way upcountry, and spend a day strolling Baldwin Avenue. I promise, you’ll be pleasantly surprised. 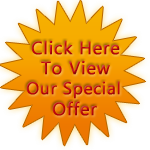 Collections Boutique– where you’re sure to find something just for you. The Mercantile is up next, another rather eclectic boutique. 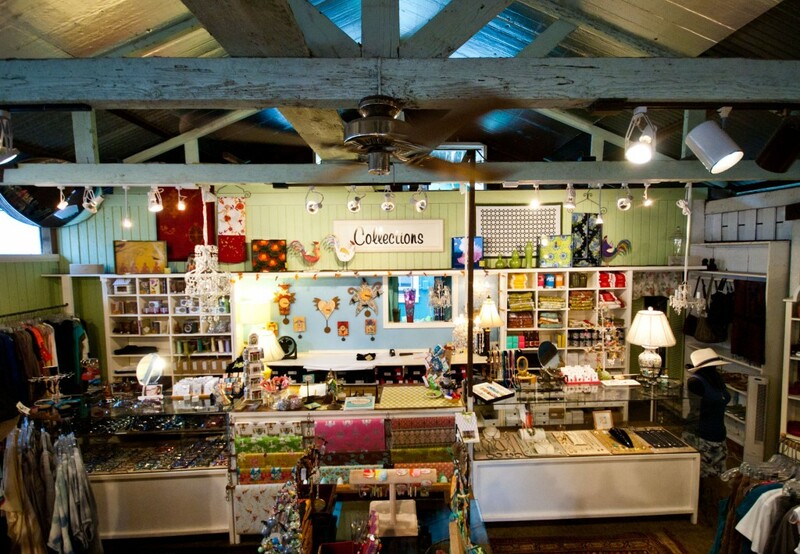 Featuring men’s and women’s apparel and accessories, bath and beauty products, and hand-stitched, block-printed India cotton quilts and pillows, The Mercantile is one of those places where you’ll find things you’ve never seen before. For guys and gals with an eye for edgier style, this is a perfect place to put together a one-of-a-kind, head-turning look. The jewelry here is simply stunning, too—it’s hard not to pick up a piece or two whenever I visit this trendy boutique! If I’m still in the market for clothes and accessories, my next stop is Hurricane Limited. They boast a variety of ladies’ dresses and tops, with a colorful, vintage-inspired sensibility. Désigual dresses, Gretchen Scott tops—if you’re looking for an island vibe, but want to skip the aloha prints, Hurricane Limited has what you’re looking for. Ask the expert sales staff to point out some locally-made products, and don’t forget to check out their jewelry display case near the register before you check out! By now, my husband (if he’s chosen to tag along) is getting a little bored by watching me ooh-and-ah over bracelets, tunics, and cosmetics bags. So, for a perfect pick-me-up, we’ll stroll over to Volcano Spice Company. As avid grillers, we always go a little wild in this Western-inspired shop. Chef and owner Kevin Carlson makes all their products on the on-site kitchen, and has come up with some truly delicious spice rubs and salt blends. Our favorite? The original Volcano Spice Blend, widely versatile, and perfect on a ruby-red slab of seared ahi. The shop also features homemade hot sauces, which we love to add to wings, pulled pork, or to splash onto freshly-made cheeseburgers. Do you have more of a sweet tooth? You’re in luck! Volcano Spice Company also features products made with locally-grown vanilla beans—a perfect gift for your favorite baker! Pick up locally-made crafts, including hand-turned wooden bowls while you’re here. Makawao, an old-fashioned cowboy town, is home to some of the most unique and sophisticated shopping on Maui. Thinking about how to use all of those gourmet goodies usually makes me pretty hungry, and what’s a day of shopping without a tasty, fortifying lunch? Stop at Market Fresh Bistro, and enjoy their unique, local, farm-to-table offerings. Whether you get a gorgeous, colorful salad, a fresh catch sandwich, or a local sirloin burger, you’ll be savoring the incredible flavors of Maui in a European-style al fresco courtyard. They also feature a carefully prepared Old World wine list, so you’ll find the perfect pairing for whatever you order. If you loved it at lunch, you’ll definitely want to check out their farm dinners, where you’ll dine at one long table, and the prix-fixe meal focuses on a particular theme. Call to find out when the next one is—and reserve early! Right off the courtyard are two stops I love to peruse after a satisfying lunch—Viewpoints Gallery and Hot Island Glass. The former is a spacious, well-lit gallery, featuring a rotating array of both local and visiting artists. The gallery focuses on painting and sculpture, and you can certainly spend a lot of time browsing the walls and showcases. It’s a great place to clear your mind and appreciate beautiful, inspiring artwork. After that, step over to Hot Island Glass, Maui’s well-known glass studio. They feature beautiful blown glass art, including sculptures, vases, and other one-of-a-kind pieces. There’s a definite sense of ocean-inspired creativity in all their work, but especially in their amazing glass-blown jellyfish. Looking for an eye-catching piece to display at home? Ask one of their friendly staff about shipping some original art directly to you. Quite often, you’ll also get to watch as talented glass-artists work their magic right in the shop—call ahead to see when the live demonstrations will take place. It’s totally incredible to watch—don’t miss it! A day shopping in Makawao rings back to a time when small, unique shops were the norm, and your packages were carefully wrapped and presented to you with pride. A retail chain is nowhere to be found on the charming streets of this quiet town, and shopkeepers and employees take pride in their work, products, and services. If you’re looking for a shopping trip where your memories will last just as long as the treasures you buy, a trip down Baldwin Avenue is just what you need! 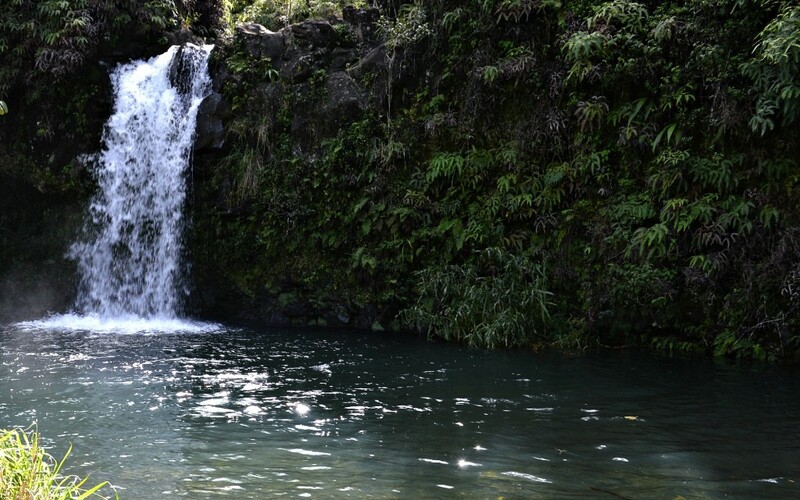 When you were planning your trip to Maui, you had visions of sunny skies, warm temperatures, and relaxing trade winds to welcome you to the island. Instead, you stepped out of the airport to gloomy darkness, cold gusts, and a downpour like you’ve never seen. You might have even avoided booking certain dates just to avoid this, but Maui’s tropical weather is unpredictable. Now, you’re wondering how to fill all that beach, pool, and golf time you had planned. This should help you out! Rainy days make for spectacular waterfalls! Get up (really!) close and personal with Hawaii’s wide variety of sea life. 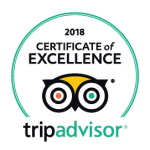 I know I’ve talked about the Maui Ocean Center before (in Kid-Friendly Maui Activities), but it deserves another mention here. Even if you don’t have kids, you’ll find this highly-rated attraction simply fascinating. 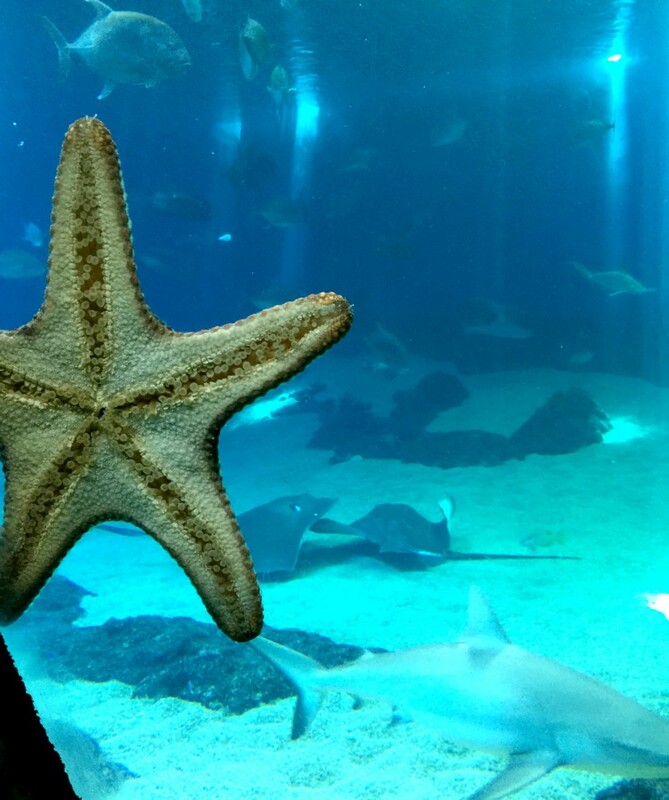 Other than a few exhibits (like the touch pool), the aquarium is indoors, and provides a comfortable, relaxing environment to get close to all kinds of tropical ocean creatures. There’s an on-site restaurant (along with some other excellent dining spots in the same area), so you can have lunch and a drink after strolling through the aquarium’s vast and varied displays. For a rainy day, this is one of the best indoor activities on Maui. If you’re greeted by clouds and rain drops outside your window, but still don’t feel like hanging out in your hotel all day, venture out to one of Maui’s three movie theaters! If there’s a movie you’ve been wanting to catch, more than likely it’ll play somewhere on the island. Take a sweater, indulge in a bag of warm popcorn, and relax. Who knows– with the way Maui’s weather can be, you might emerge from the theater to some bright sunshine, so go ahead and hit the beach! I’d recommend the Regal Maui Mall Megaplex in Kahului– it features the most screens, and puts you right in Central Maui, close to plenty of other shopping and dining. Even if it’s still raining after the credits roll, combine it with a trip to the Maui Ocean Center for your perfect indoor Maui day. Even if you weren’t planning on a massage or a spa treatment during your Maui stay, a rainy day might make you rethink that decision. If your resort doesn’t have an in-house spa, a nearby one certainly will. Check out Grand Wailea’s Spa Grande— sinking into one of their therapeutic bath treatments on a cool, rainy day sounds like pure paradise. Not a soaker? Most spas on Maui offer hot-stone massages– a perfect antidote to a not-so-hot day! 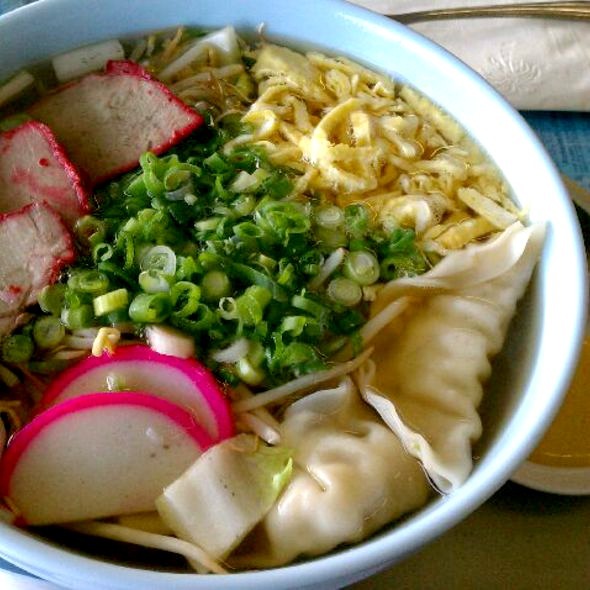 Saimin, one of Hawaii’s signature dishes, is the perfect pick-me-up on a gloomy day. I don’t know about you, but rainy weather (no matter where I am) gets me in the mood for a hot bowl of soup. Broccoli cheese, beef and barley, matzo ball– I’m a soup fanatic. My all-time favorite, though, is a big steamy bowl of saimin. Although it has its roots in traditional Japanese ramen, it’s nothing like the packet of noodles you subsisted on in college. Usually, you get saimin in a big bowl, and then it’s a treasure hunt! Depending on where you get it, you’ll find eggs, kamaboko (bright-pink “fish cake” that looks strange, but has a wonderful subtle flavor), choi sum (a mustardy-tasting kind of cabbage), teriyaki beef, tempura shrimp, green onions, char siu pork– all kinds of delicious things– and of course, noodles! For a true saimin experience, mix in the super-spicy Chinese mustard that’s usually offered alongside it. Perfect rainy-day pick me up! Try it at Monkeypod Kitchen, Star Noodle, and local hotspot Sam Sato. By the way, a big bowl of saimin is particularly conducive to one of my other favorite rainy-day activities– a nice long nap.